Willow Ridge Garden Center & Landscaping offers the highest uncompromising quality and customer service in the industry. We are committed to providing you with a large variety of plant material, unique merchandise and landscaping services at a fair competitive price. There is nobody more passionate about your landscaping & gardening needs than the staff at Willow Ridge. Come see our extensive selection of anything you could ever want in your garden or landscape. Over 200 years of combined gardening & landscaping experience (yes, we said 200)! 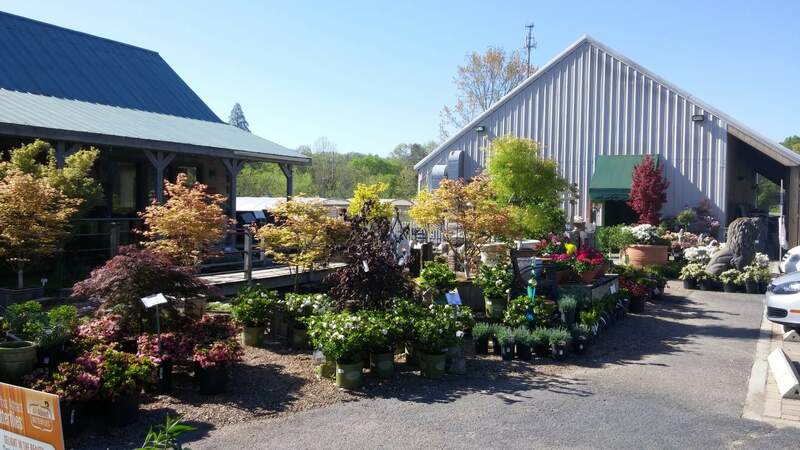 The area’s best selection of high quality trees, shrubs, mulch, pottery, topsoil, gravel river rocks, Annuals, Perennials & water feature products! An indoor gift shop with fairy gardens, wind chimes, flags, bird feeders and more! Regular educational events and activities for the family! At Willow Ridge Garden Center & Landscaping, we have over 200 years of combined experience. This translates to our dedication and ability to provide all of our customers with an array of services and top-quality materials! Check out all of our services below and find out why we are known as one of the best landscaping companies in Knoxville TN! In Knoxville, landscaping is everything. That’s why we offer extensive landscaping services throughout the area. Whether you have a small or big outdoor space, we are dedicated to crafting the perfect welcoming outdoor space that you and your loved ones can enjoy all year long. At Willow Ridge Garden Center & Landscaping, we offer one of the most extensive and diversified landscape supply Knoxville TN services. With our local landscaping service, we are able to craft a truly encompassing and welcoming outdoor environment that you can enjoy for many years to come. We have one of the most customizable landscape design Knoxville TN centers. This means that you have the ability to work alongside our professionally trained customer service representatives to curate the outdoor space of your dreams. Whether you want an elaborate multifunctional space, or a simple corner where you can relax outside, we are here to help. Landscape stone in Knoxville TN is important. That’s why we offer a variety of stone patterns and options that you can choose from, as well as other materials that can be used as the foundation for your outdoor space, or even as a walkway to your home. In addition to standard services, we offer an array of services and materials that will give your outdoor space the elevated feel it needs. For example, finding great landscape lighting in Knoxville TN can be difficult. Usually, you have to hire multiple companies to curate the perfectly lit outdoor space. Luckily, you won’t have to do that with us because we have lighting specialists ready to design and install the perfect balance of light into your outdoor space. At Willow Ridge Garden Center & Landscaping, we’re so much more than a landscaping company. We are proud to own one of the best Knoxville garden centers that is family-owned and operated. We take pride in our plant nursery Knoxville TN center. That’s why we offer an array of plants that you can choose from to beautify your outdoor space. Once you find plants you want, you have the option of having them delivered right to your front door. So, you won’t have to worry about traveling or having a car big enough to transport your items. Our plant nursery does so much more than grow and deliver plants. We also cater to customers who already have plants in their outdoor space. Since there are thousands of plant species, it can be difficult to identify what kind of plant you have and how you can properly maintain it. That’s where our plant identification service comes in handy! We also offer a plant disease and pest diagnosis service for when you want to maintain and check on the health of your plants and outdoor space. We understand that hosting an event can take a toll on your outdoor space. That’s why we have an event option in our garden center! Whether you simply want an integrative space to host a business meeting, fundraiser, or party, our space is perfect. If you’re in one of the surrounding areas of Knoxville and searching for a local garden center online (i.e. “plant nursery Maryville TN” or “plant nursery Farragut TN”), then look no further. We serve residents throughout the surrounding areas too. Come in for a visit today! Mulch is one of our most popular bulk goods. We sell all of our bulk goods by Bobcat Scoops. This means that each scoop has enough material to cover an area that’s approximately 8’ x 8’ and 2” to 3” deep. We understand that transporting bulk goods, such as mulch, is difficult. That’s why we offer mulch delivery in Knoxville TN. With our delivery service, we are able to transport up to 15 scoops of mulch per load. So, don’t fret about travel times or getting a truck big enough to transport your materials, and hire our Knoxville mulch delivery service! Hardscapes can make or break your outdoor space. That’s why we offer an array of hardscaping options, such as stamped concrete. Our stamped concrete Knoxville TN service is one of the best in the area. We work alongside each of our customers to create a truly unique and personal stamped concrete pattern. Therefore, you can craft the stamped concrete hardscape of your dreams. Whether you need pond installation or pond maintenance services, Willow Ridge Garden Center & Landscaping can help you with everything pertaining to your pond. We know that searching the phrase “pond repair near me” generates a ton of landscaping companies. Researching all of these companies takes time and effort. But with Willow Ridge Garden Center & Landscaping, you can say goodbye to your days of researching “pond maintenance near me,” and hello to a reliable, family-owned and operated business. We don’t just offer pond installation and maintenance services. In fact, we specialize in curating personalized special ponds with modern features, and even some water features that don’t require ponds, such as a pondless waterfall. With our pondless waterfall design, a waterfall recirculates throughout a day without having the foundation of a pond. Since there are a ton of large rooted trees in the Knoxville area, this is a great option for people who want to add a touch of running water to their outdoor space without having to deal with the responsibility of having a pond. For more information about any of our services, give us a call today at (865) 481-3825!